So you’ve decided to build a custom home. Now that you’ve got that first big decision under your belt, the next step is to choose a builder. How should you decide which one to work with? Not all Greensboro custom home builders are the same. They all have different qualities, different styles that make their work unique. Here are the Top 5 ways to choose a home builder. Style. Do you have a vision for what you want your house to look like? It’s important to find a builder who builds homes in the style you have in mind. If you’re not sure yet exactly what you want, look at each builder’s photo gallery to see if you like the homes they have built in the past. Quality. Make sure you find a builder who won’t cut corners or skimp on luxuries simply to save money or complete the job faster. Look for a meticulous builder who takes pride in tending to every detail. Ask to tour the builder’s previous homes to get a feel for the craftsmanship. Be sure the contractor you choose is licensed and look for extra credentials like local builder’s associations. Experience. Look for a builder who has significant experience building custom homes in the area. You want to be sure that your builder brings the necessary knowledge, training, and ability to the job. It’s your home and will be for years to come. There is no room for error. Reputation. Read reviews, ask for references of previous clients, and get a true feel for your builder. Take the time to do the research. Rapport. Talk at length with potential builders before making a commitment. Find someone who is easy to converse with, someone with whom you feel comfortable enough to share your true feelings about what you’re looking for in a home. Designing and building a home is a big undertaking. You will be working closely with your builder for at least 6 months, probably closer to a year from the first consultation to the final closing date. Choose someone you like. Choosing a home builder is not a decision to take lightly. Brian Riker understands this and is willing to take the time to answer any questions you may have from the start. A member of the Greensboro Builders Association with years of experience since 1999, Brian lends his quality craftsmanship and expertise to every custom home. With a reputation for excellence in the industry, Brian Riker should be your chosen builder. Call (336) 669-7642 to schedule a free consultation. There are lots of decisions to make throughout the process of building a custom home. From location to style, you will make many small decisions that will make your home your own. It’s easy to get lost in the small details from countertops to bathroom fixtures. While doing so, you may miss some of the most important things that will make your home a happier one. Read on to discover 5 often overlooked things homeowners should consider when building a custom home. Design of Your New Home. Most new home builders in Greensboro offer you a pre-drawn plan and allow you to customize it to your tastes. Don’t feel stuck with the pre-drawn plans. If you find you’d rather have a room in another location, or an additional window; it’s always a good idea to ask your custom home builder if he or she can modify the design to suit your personal style. Homebuilding Budget. Everyone has one, but how you manage it can make or break your plans for your new home. The budget can be bled dry or kept in check, it’s all up to you because it is based on your decisions. Being a part of every change and approval is the best method to keep your expenses on track. Keep the lines of communication open with your home builder to maintain control of your budget. 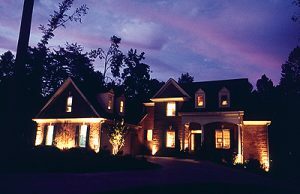 Lighting Your New Home: Natural and Artificial. Lighting is certainly a discussion you’ll have with your contractor. But it’s not just about ensuring you have enough fixtures. Consider how many windows you have, and how natural light will enhance your home’s lighting. Also think about how the sun rises and sets. Take the orientation of your home into account and consider these when positioning bedroom windows. Laundry Room Placement in Your House. It’s a dirty job but it must be done—the laundry. And if you’re like most families, you do it a few times a week. Laundry room location is not something most homeowners add to their ‘important list’ but it will definitely be a focal point of frustration if you don’t get it right during the planning phase. Consider if you prefer walking into a basement to get the laundry, or if you would prefer to have it on the upper level with the bedrooms. 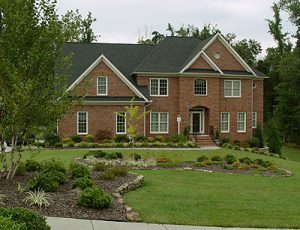 Landscaping Your Greensboro Home. You’re going to be really busy getting the plans together for the interior of your home, but don’t forget about the exterior. Planning grading, landscaping, and irrigation will protect your foundation while helping you create a beautiful space for outdoor living. You won’t spend all your time inside your custom home. Make sure you have a great place to go outside and enjoy the elements. Now that you know some of the secrets of how to make your custom home building process easier, start your project with one of the premier new home builders in Greensboro. Brian Riker Homes will help you plan and build your custom dream home. Get started today by calling Brian Riker at (336) 669-7642.